It’s been a dramatic week, with the Preschool 4s presenting their version of The Great Kapok Tree. They performed the play in celebration of their rainforest study, which is coming to an end. It’s been inspiring to see four- and five-year-olds entering the building these past few months with their handmade posters, ready to make their presentations about a specific rainforest creature. Talking with a few parents after the play, it was evident that the conversations about the rainforest going on in their homes with their preschoolers won’t cease any time soon. These children own what they’ve learned and will continue to be advocates for the rainforest long into their lives. As the preschoolers finalized their rainforest study, pictures and announcements about our Seed alums have been flowing in steadily, some from as far away as Iowa and California. One of our former Seed parents sent me a photo of four Seeds who just graduated from 8th grade at Arizona School for the Arts. I love that they took the photo, thought of the Seed, and sent the photo my way. I also received several photos of an alum who this week earned her masters degree from Harvard University Graduate School of Education. To my knowledge, she’s the first Seed to be a Harvard graduate. 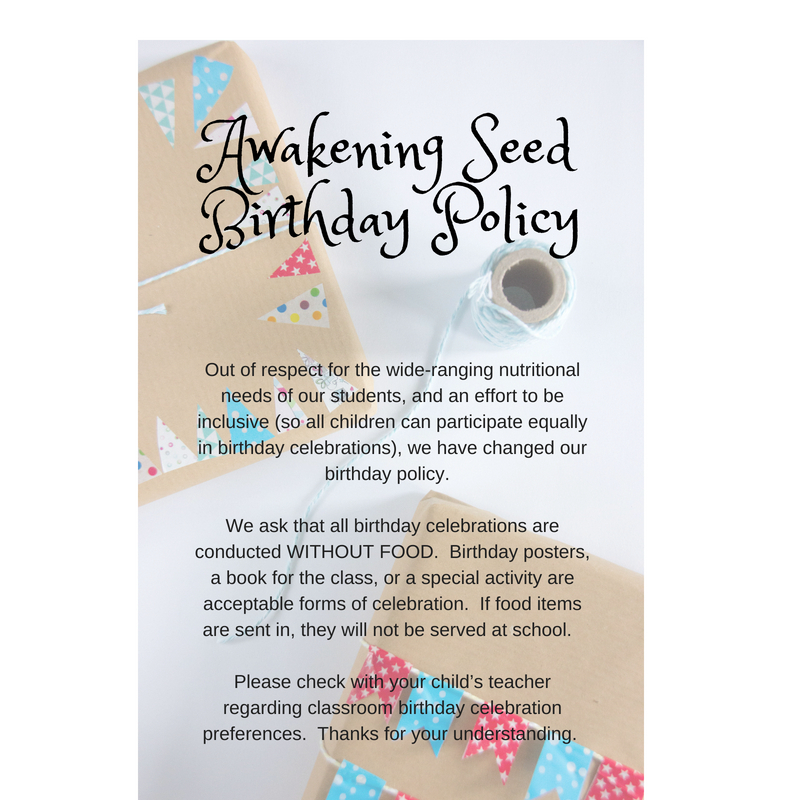 Mixed in with the graduation announcements was a photo and message from a Seed mom. 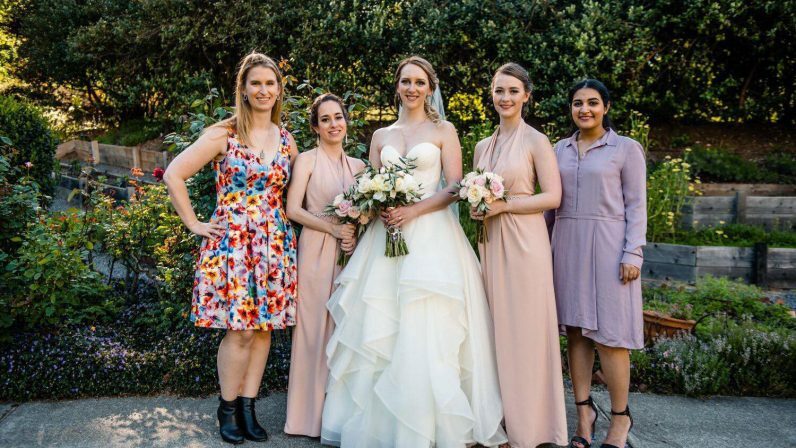 She wanted to make sure I received the photo from her daughter’s wedding that featured five Seed alums. It made me smile thinking of the five of them lined up to be photographed along with other typical family groupings at a wedding. When I asked for a bit more information, she added this note: “All of these women are Ph.Ds and Natasha of course is a DVM. Seed girl power!” She’s right, it is a lot of Seed girl power. Their fields of study weren’t exactly fluffy either—neuroeconomics, linguistics, music, international studies, and veterinary medicine. I’d like to add that two of the girls mentioned in this blog were selected as Fullbright scholars. It’s more than I can wrap my brain around, especially when I remember that they were all children who once played in sand and dirt at the Seed. On Monday we met with lead staff to plan our professional development goals for the coming year. I mentioned I’d like to include some work around the topic of “transdisciplinary” studies. Studies like the Preschool 4s’ rainforest study, which connect the different academic subjects, such as art, science, social studies, math, and language arts, become “transdisciplinary” when they also include a layer of reflection about what happened during the study, what arose that was new, and how it made a difference. 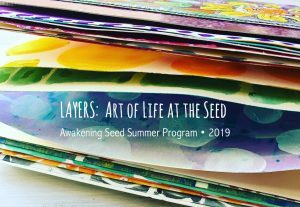 When I look at our Seed alums who are graduating and moving through life transitions, I am reminded that at one time they experienced the Seed curriculum, which served as a foundational connection to the world. Through studies like the Preschool 4s’ rainforest study, they, too, learned what it means to be a planetary steward. It is evident, from the the alumni stories that keep coming our way, that the Seed is making a difference.